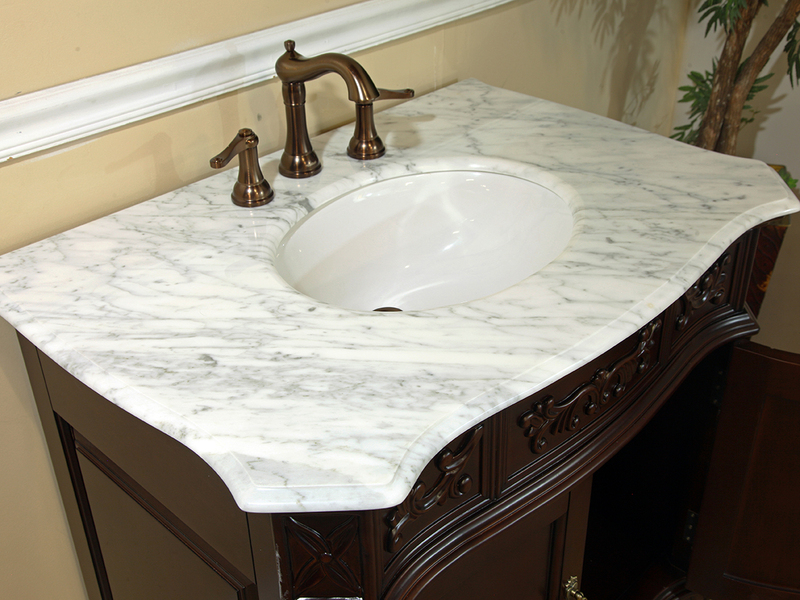 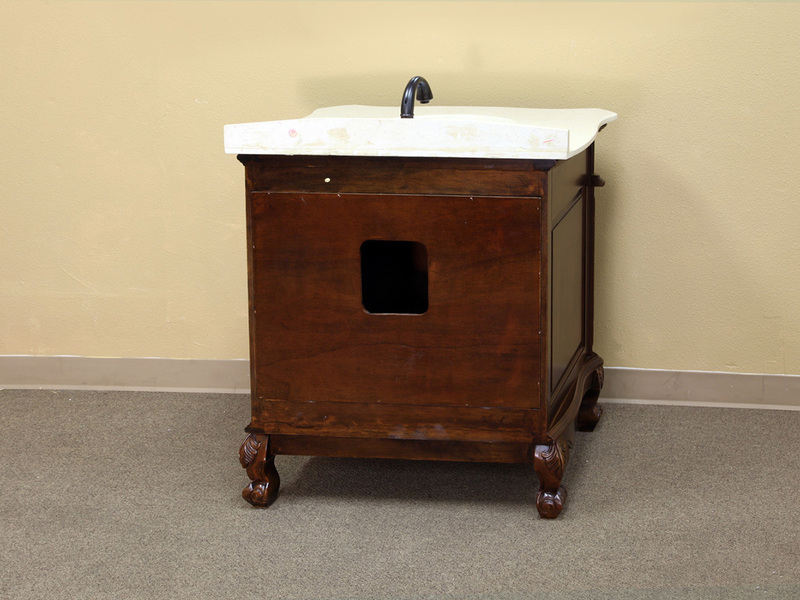 The Normandy Single Vanity features a wonderful antique design with its hand carved details, cream marble counter top, and antique bronze hardware. 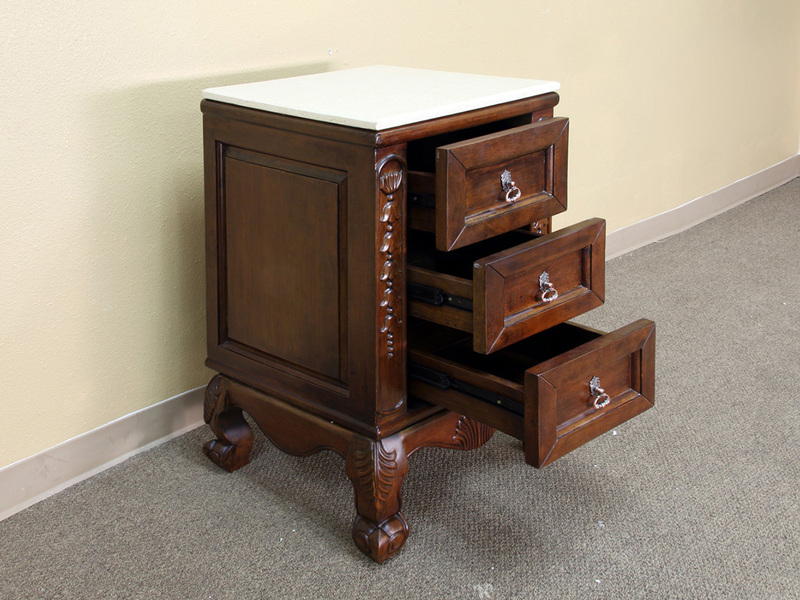 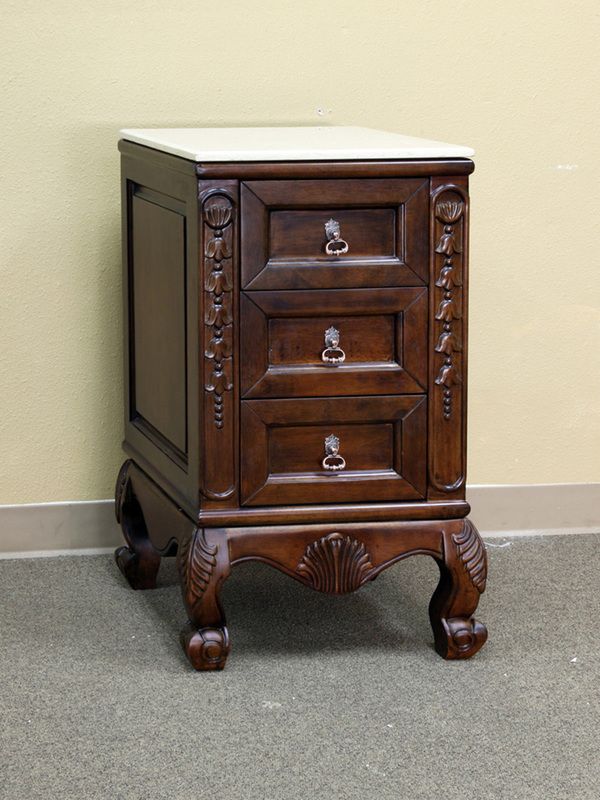 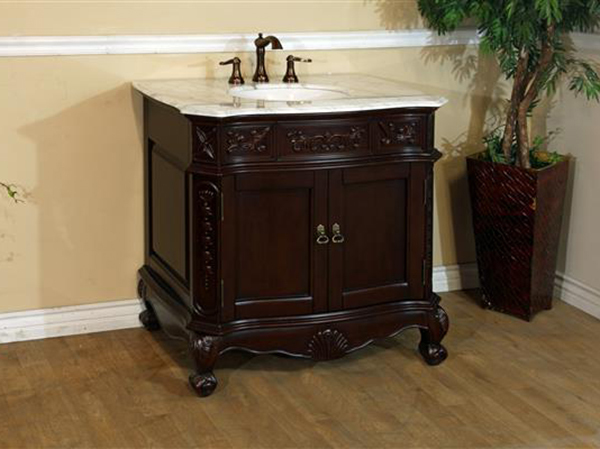 This vanity is sure to add a lot of class to any bathroom. 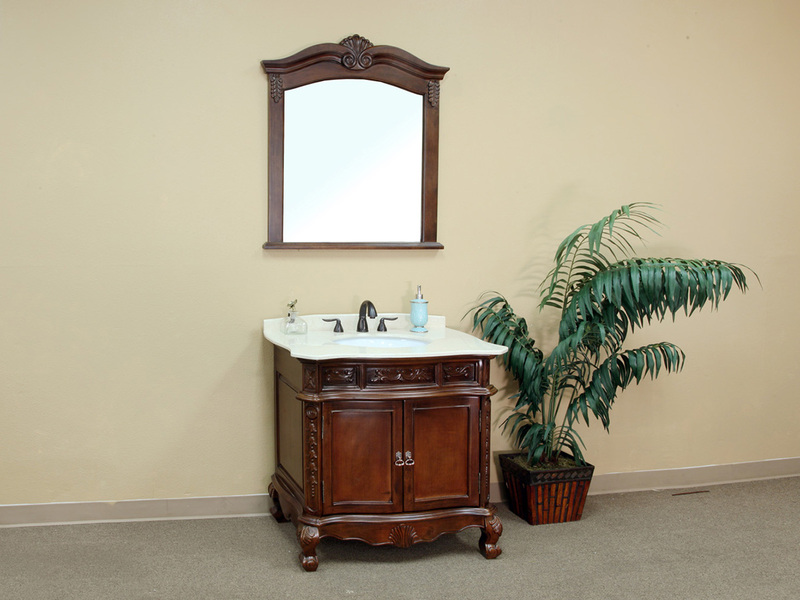 The solid birch cabinet is protected by its water proof walnut finish, which means this great looking vanity is also designed to last. 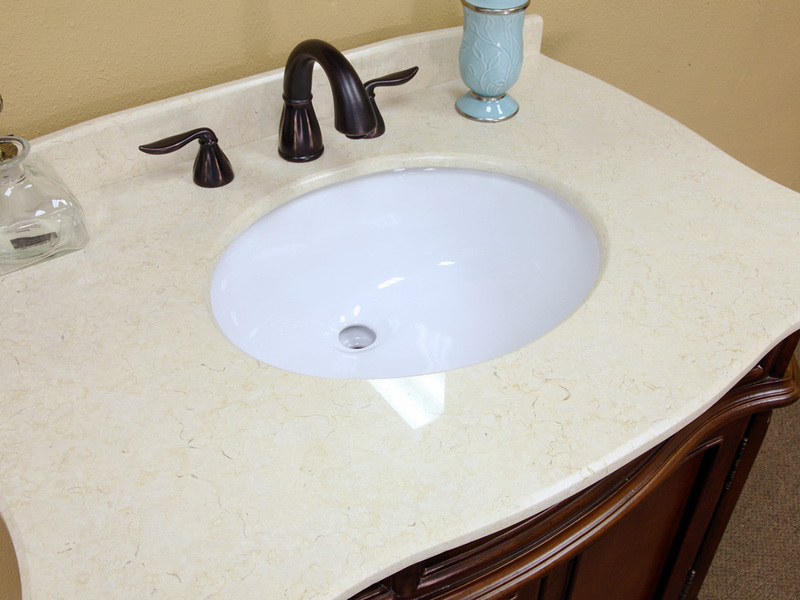 A white ceramic sink is included, and the counter top comes with pre-drilled faucet holes so you can select your own faucet to install (faucet sold separately). 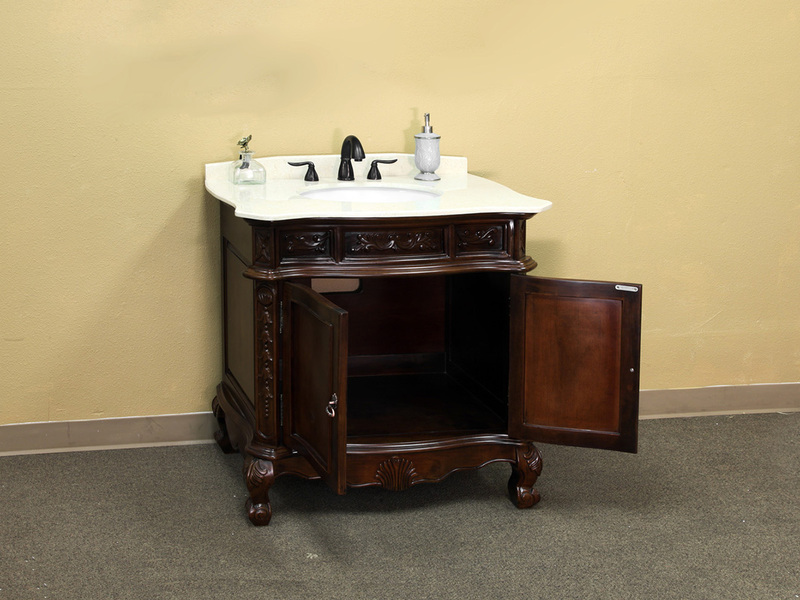 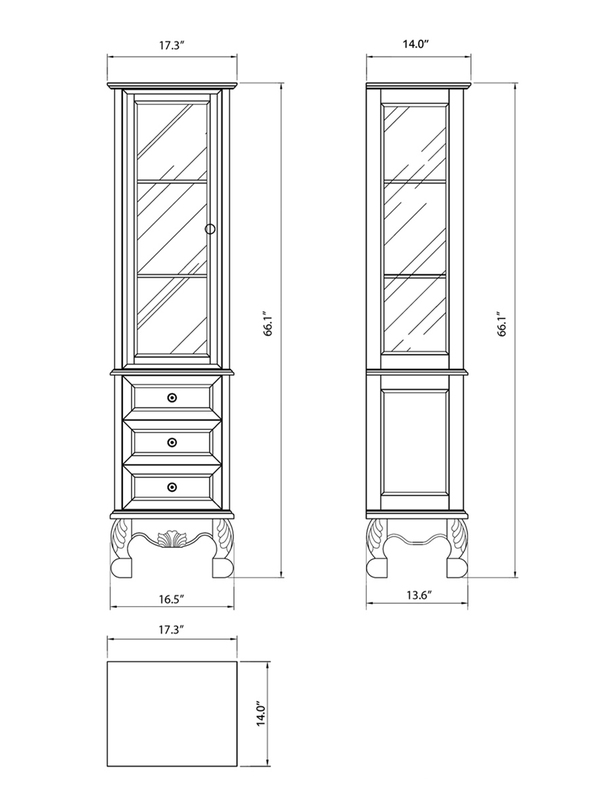 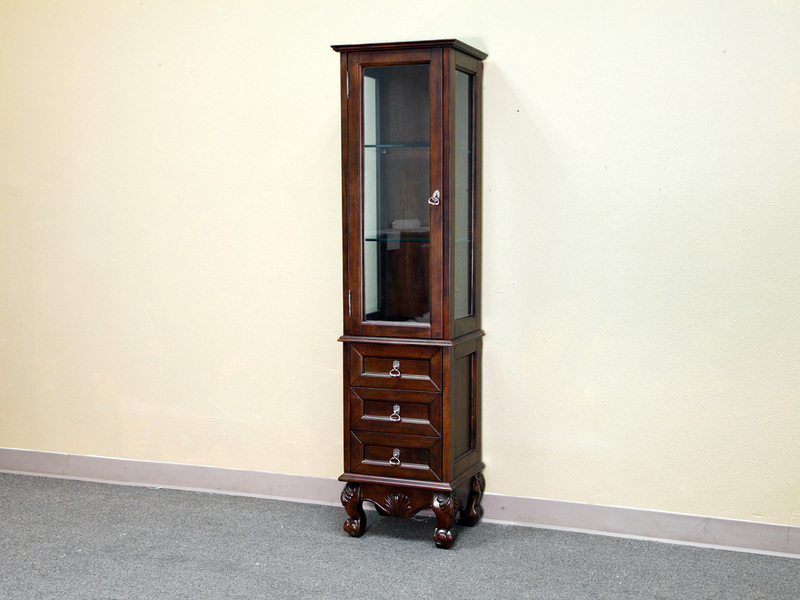 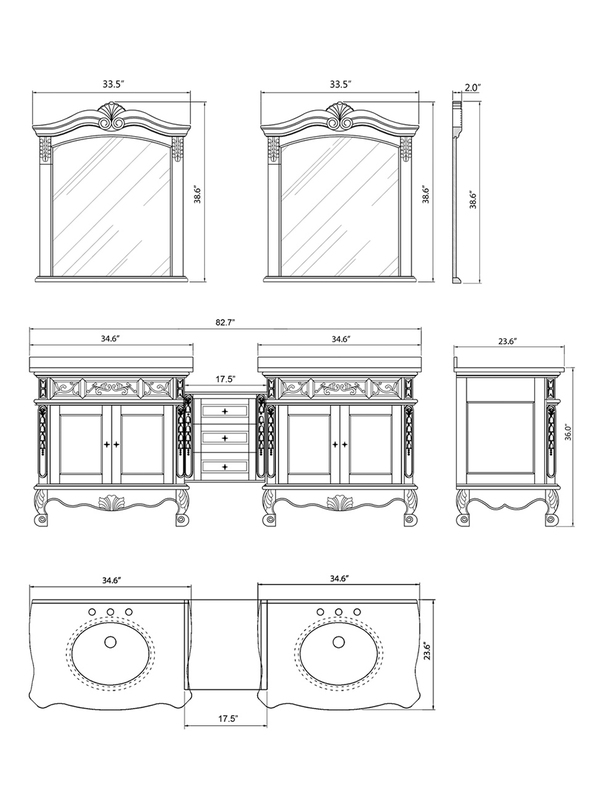 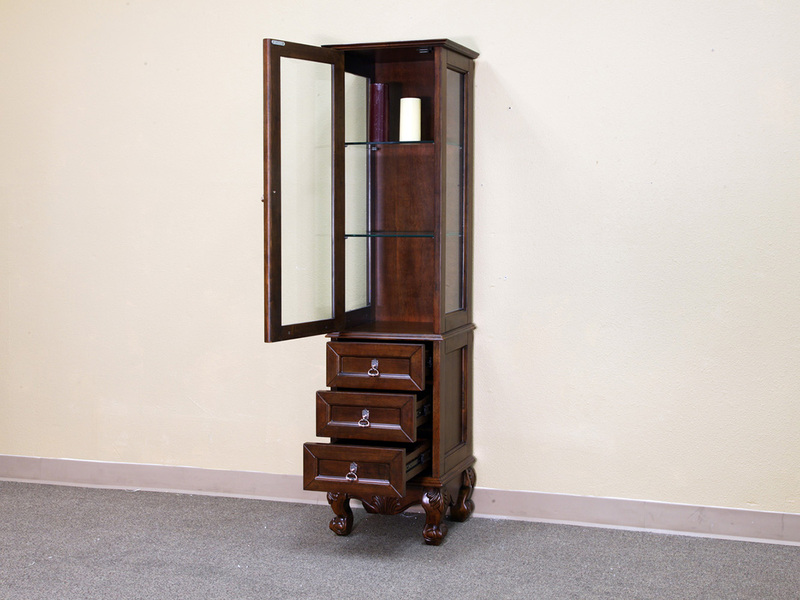 This vanity also has several optional matching pieces, such as a beautifully framed mirror, and two different cabinets to expand your bathroom storage.